In yet another dominating performance, India crushed Australia in what turned out to be a one-sided affair. In yet another dominating performance, India crushed Australia in what turned out to be a one-sided affair on Saturday. 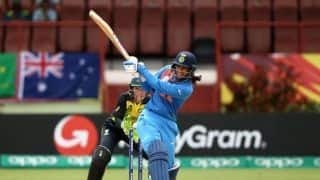 It was a perfect game for India as they bossed their opponents in every department be it batting, bowling or fielding in their final group match of the 2018 ICC Women’s World T20 in Guyana. After posting 167/8, India bowled out Australia for 119 to win by 48 runs and top the group B with four wins in as many matches. The batters, led by Smriti Mandhana, helped India to a challenging total. 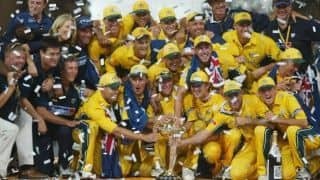 Their spinners then took over, leaving Australia batters gasping for breath, strangling them and not allowing easy runs. They fielded well with Veda Krishnamurthy taking four catches but the highlight was Radha Yadav’s stunning catch off her own bowling. Australia terribly missed the services of wicketkeeper-batsman Alyssa Healy who did not bat due to mild concussion after a collision earlier in the match. They were bowled out for in 19.4 overs. The chase, however, began on a positive note as the openers added 27 runs in four overs before Deepti Sharma struck in consecutive deliveries to remove both their openers. Elyse Villani holed out for 6 to Veda while Beth Mooney was cleaned up off the next on 19. Ashliegh Gardner and captain Meg Lanning tried reviving the chase, adding 29 runs for the third wicket. However, the boundaries were hard to come by and the pressure of the ever-climbing required run-rate got to them. Anuja Patil top the bowling charts for India with 3/15 while the trio of Radha, Deepti and Poonam picked up two wickets each. Earlier, Mandhana hit a career-best 83, an innings which was studded with nine fours and three sixes. The opener laid down the marker after India captain Harmanpreet kaur opted to bat first at the Guyana Stadium. Garnder, though, struck early as she removed opener Taniya Bhatia in the second over. A partnership was brewing between Mandhana and Jemimah Rodrigues before the latter sliced one to short third man to be caught for 6. That brought in-form Harmanpreet to the middle and she began belting boundaries at will. Mandhana and Harmanpreet added 68 runs for the third wicket to steer Indian innings forward. Kimmince broke the stand when Harmanpreet was caught after a quickfire 27-ball 43 that featured three fours and as many sixes in it. Mandhana continued even as India kept losing at the other end. With a six, she became the second fastest Indian after Mithali Raj, who was rested for the match, to complete 1000 runs in T20Is. India looked set to post score in the vicinity of 180 but Australian bowlers did a terrific job to keep them quiet in the death overs. Megan Schutt removed Mandhana off the first delivery of the penultimate over to end her innings. However, a nasty collision with Schutt saw Healy leaving the field. Beth Mooney replaced her behind the stumps. Perry then took two wickets in the final over with India managing just 13 runs off the final two overs. 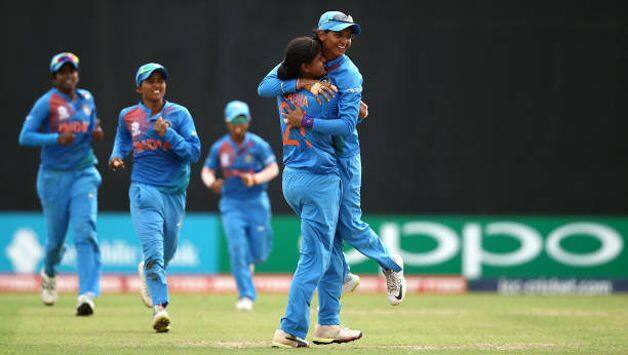 India rested Mithali and Mansi Joshi and brought in Anuja Patil and Arundhati Reddy into the playing XI. Australia gave debut to Tayla Vlaeminck who bowled two overs for nine runs but the highlight was her stunning one-handed catch at backward square leg to get rid of Veda Krishnamurthy. 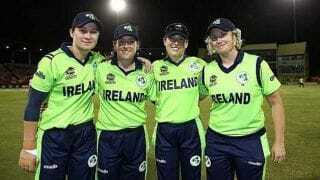 Perry, playing in her 100th T20I, was the pick of the Australian bowlers finishing with 3/16 and then top-scored with an unbeaten 39 even as the innings around her crumbled.